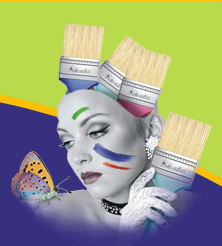 Padmashri Premium Paint Brushes are made for the painters comfort. It is fully sophisticated for Painters interior and exterior usage. It's Range of product sizes are available from ½" to 6". Filaments, chemicals, handles and other accessories are high quality products are combined together by our highly Professional Workers.